Senior Police Officer Rob Bingaman was killed a single vehicle crash when his patrol car plunged off of the Jeff Bowen Bridge on I-240, onto Riverside Drive below. Officer Bingaman was a U.S. Marine Corps veteran. 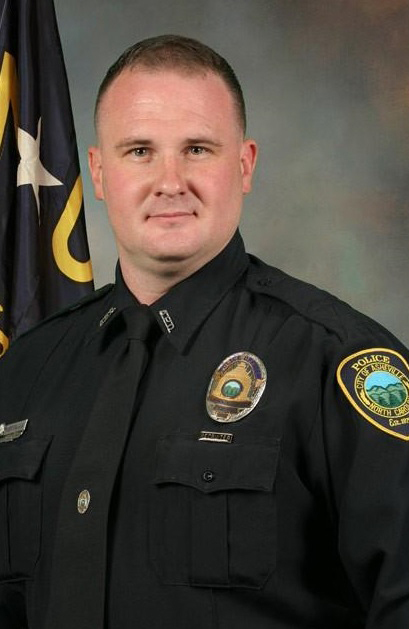 He had served with the Asheville Police Department for six years and was assigned to the Traffic Enforcement Unit. He is survived by his wife, three stepdaughters, parents, and six siblings.